Kally Malcom is a photographer whose work and research explores place, personal history, and identity. Her images employ a range of photographic processes and move between the studio and the natural world. Selections from her recent work have been exhibited nationally and internationally, including Workspace Gallery in Lincoln, Nebraska; the Schneider Museum of Art in Ashland, Oregon; Northlight Gallery, in Phoenix, AZ; Marion Center for Photographic Arts in Santa Fe, NM; and the Pingyao International Photography Festival, in Pingyao, China. Her images have been published in F-Stop Magazine, The Hand Magazine, WPR Wisconsin Life online, and the Huffington Post. Kally earned an MFA from New Mexico State University. She has served as Assistant Professor of Photography at the University of North Florida for the past four years. This body of work centers on recording the plant life found within the Sawmill Slough Preserve, which is a 382-acre wetland and woodland habitat situated on the campus of the University of North Florida in Jacksonville. Within this relatively small footprint are areas of blackwater swamp, mesic flatwoods, marsh, pine forest, and scrub forest. 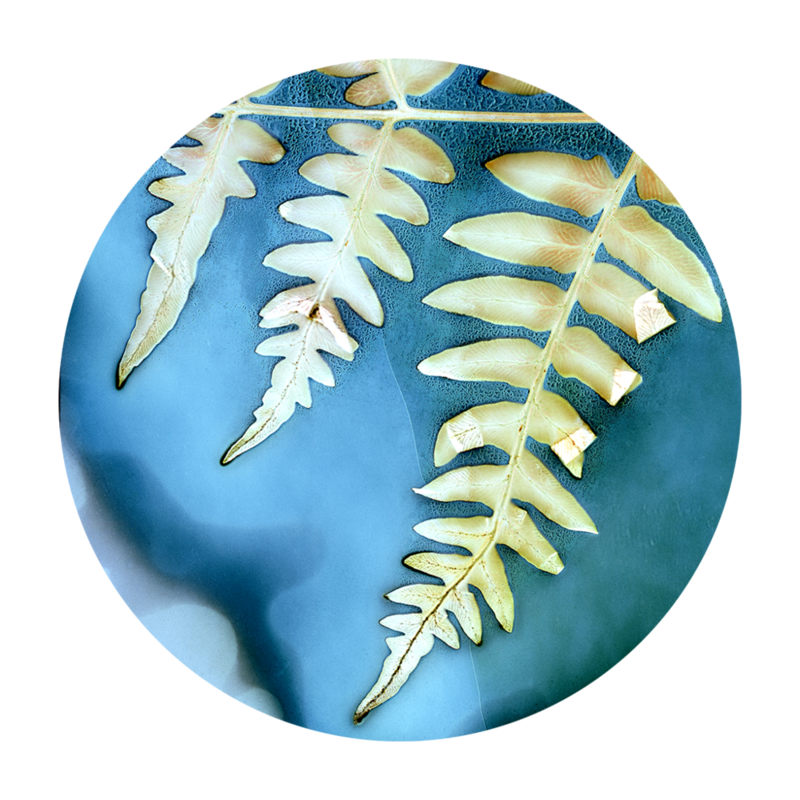 I utilize the lumen printing process to create a unique record of the flora samples collected within the preserve. In the tradition of Anna Atkins, a British botanist and photographer who created aesthetic typologies of plant specimens during the 19th century, I am creating a catalogue of many of the plant specimens found within the preserve. 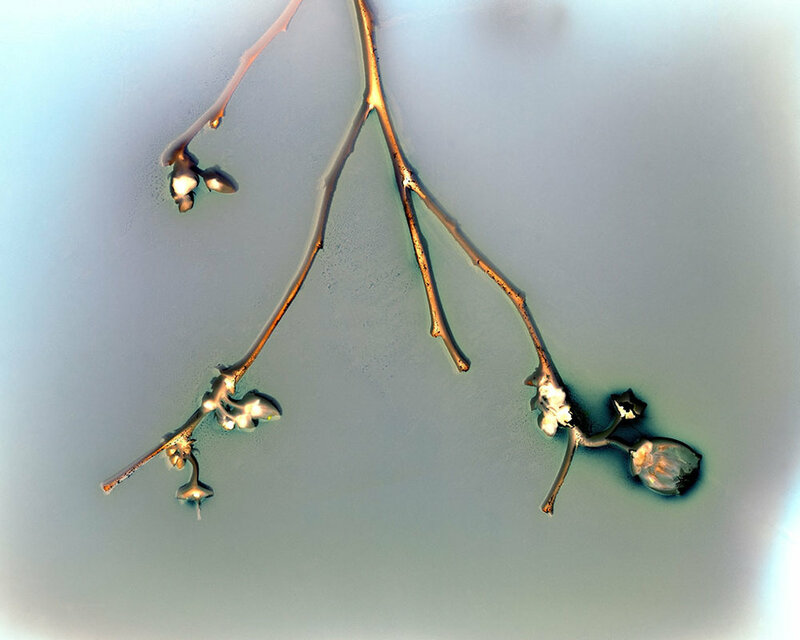 Like Atkins’ cyanotypes, the lumen printing process results in imagery that is neither purely scientific, nor purely aesthetic, which pushes the boundaries of both science and visual art. Why the University of North Florida? The photography concentration within the BFA program at the University of North Florida is designed for the serious student of art who is interested in exploring the expressive potential of photography. Unique to many state universities, students in the photography concentration at UNF have the opportunity to learn from and work with four, full-time faculty members who have distinct areas of interest and expertise within the field of photography. Students are challenged to pursue their own direction through a curriculum that emphasizes experimentation and encompasses a wide range of approaches including: analog and historical practices; studio lighting; and a range of digital courses from essential fundamentals, to image fabrication, and documentary practice. In addition, the program includes courses in the history of photography, portfolio production, and professional practices important to the pursuit of photography after graduation. The photography program supports creative work and scholarship by its faculty and students in all fields of photography. Photography students are encouraged to participate in internships, study abroad programs, undergraduate exhibitions and exploration through individual and collaborative research. Student research funding is available through the Office of Undergraduate Research. Program facilities include: a building devoted to photography with film processing area, analog darkroom with 18 enlargers, a dedicated classroom with track lighting, two photographic studios with professional lighting equipment, alternative process lab, matting room, small digital lab, library, and offices for faculty and lab manager. In addition, there is a 20 station digital lab devoted to photography in an adjacent building. UNF currently offers undergraduate degrees in art and art and history. I teach a range of classes, though my area of expertise is studio lighting. I teach both introductory and advanced lighting courses, as well as an analog darkroom course and a digital photography for non-majors course. Our curriculum offers a tremendous amount of variety, including contemporary, traditional, and alternative processes. Students become equally familiar with digital and analog processes. They are also introduced to studio lighting, large format photography, and 19th century processes. Students have opportunities to take courses focused on alternative cameras (Holga, pinhole, iPhone), documentary practices, or film theory, and others. It’s truly a diverse program. Prints are the art object. As such, it’s vital for students to be able to achieve an exhibition-quality print no matter the photographic process. Our facilities include a large darkroom, two digital labs, an alternative processes lab, and two lighting studios. All of these facilities are designated for student use. All studio courses within the photography program have in-class, group critiques. Typically, just the students enrolled in the course and faculty member participate in the critique. The senior portfolio class is our capstone course, and each graduating senior will present his or her work to the entire photography faculty for review and critique. I’ve welcomed students from other classes into my critique sessions on occasion as well. I find that if students are interested in seeing the work and hearing from the artist, it’s a great opportunity for all involved. When we have the pleasure of hosting a visiting artist, we like to arrange portfolio review sessions for our advanced students. It’s important for students to hear from as many experts as they can, and sitting with a visiting artist for a portfolio review can be critical in offering students a new perspective. I recommend the unofficial Wordpress site. Our students and faculty use the hashtag #unfphoto. I don’t think we are cool enough to have a Twitter account though…I’m not, anyway.